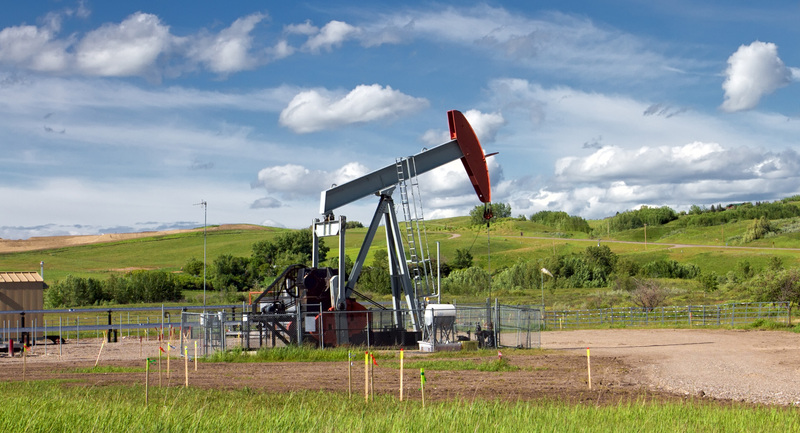 Keeping your upstream teams filled with accomplished leadership and adept talent is vital to staying competitive and growing your business in the ever-expanding energy industry. 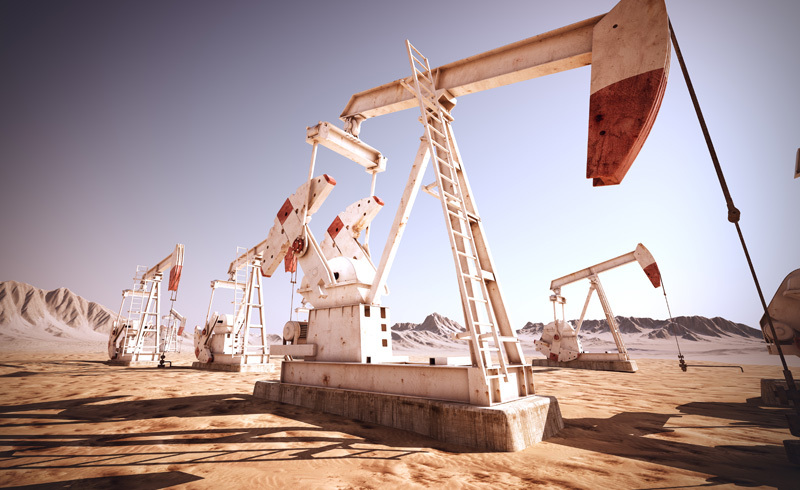 With constant business growth comes the constant need for more accomplished and qualified professionals, but E&P organizations simply can’t hire enough of these individuals to keep up with demand. With over 50 cumulative years of upstream executive search experience, and hundreds of prosperous, ongoing partnerships, The Newport Group can find the right fit for any role in your enterprise. At Newport, not only do we stay involved in upstream spheres, keeping an eye on investment news, technological advancements and “who’s who”, we go beyond stock tickers and market research, staying active in some of the nation’s top oil and gas associations, including The Association of Oil Pipelines and The American Petroleum Institute, among others. 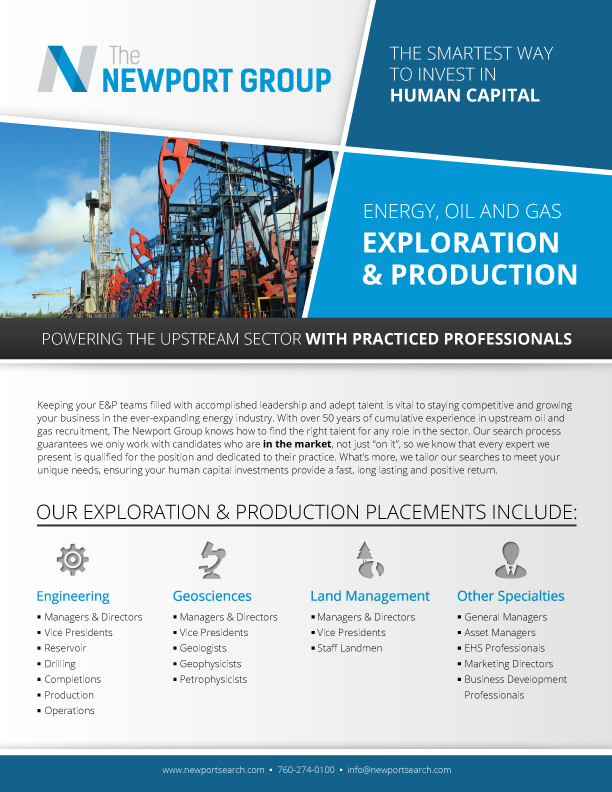 Our tenacious, tireless and trusted dedication to the E&P sector combined with our unique and time-tested recruiting method enables us to attract and place the talent your energy enterprise needs to stay successful in today’s fast paced, high-growth energy markets. Contact us now to have our Upstream Executive Recruiters connect you with the right opportunity.